Zoytek are pleased to announce their latest golf game, “Night Golf“. It’s available right now for download on Google Play! Coming soon the the Apple App Store. Why allow a simple thing like daylight keep you off the fairways? Night Golf features endless 2D computer generated holes so there is always a new challenge ahead. Avoid the trees, bunkers and other obstacles on the fairway. Get a good position on the green and swing for the final putt. 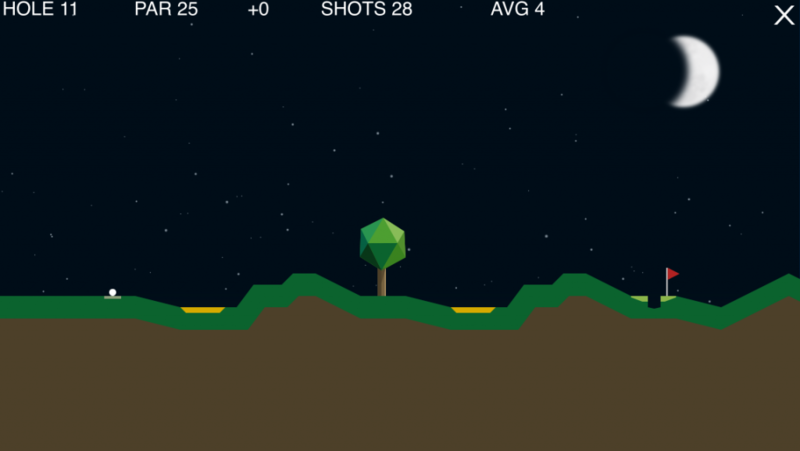 You need a super shot to get a hole in one in Night Golf. So, keep practising and become a star of the course! Every hole in is a Par 3, and the number of holes is infinite! Enjoy the nocturnal sound track -with real samples from frogs, tawny owls and other night dwelling creatures!